For years, people had been looking around for something new and innovative stuff for sharing images, there couldn’t be anything better than adding emotions to those pictures. Adding captions to the images does a limited job, as they are bound to be misinterpreted and are voluble. VoxWeb is easy – It lets user attach a voice clip to the picture and mark the images with voice clips by an orange line below the picture, which also serves as a distinct identification of voice images. A VoxWeb user can then share the image with one of their contacts or post it to a social platform “Life” that allows VoxWeb users to explore images, including the ones with the orange line. The message attached to any image with the orange line can be heard by touching it. 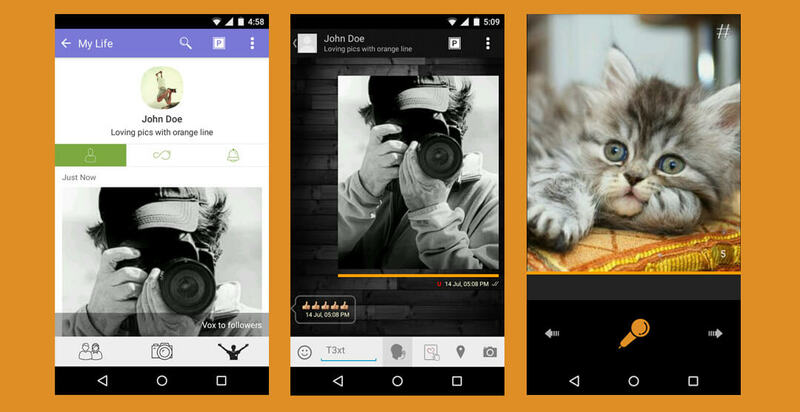 This orange line fever is gripping users, who are leveraging this rich experience in their day to day photography. Right from military personnel stationed oversea, sending an emotional selfie to their families, to the ones who are capturing images of newborn with their first cry, VoxWeb by reinventing photography is making headways in their daily lives. As a result of this, people are missing out on the orange lines beneath the pictures, wanting it to be the new standard for capturing images on the internet. 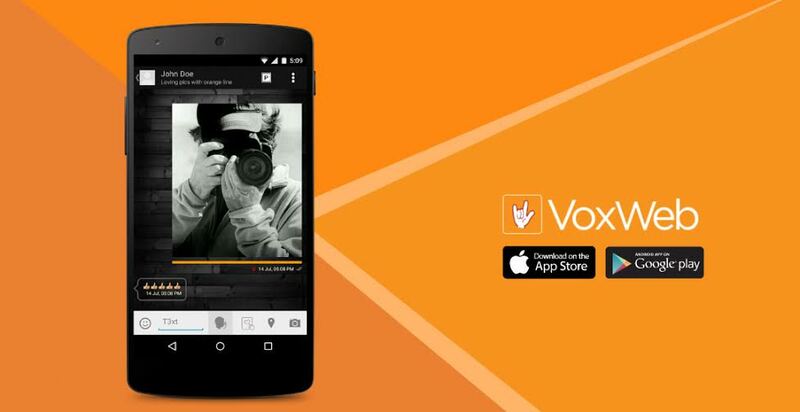 VoxWeb plans to reach out internet users across the globe who are looking out for some brilliant way of sharing images which would soon make users look for orange line in an image and change the way images are shared.